Compiler: James B. Jones, Jr.
Tennessee in the Civil War: Selected Contemporary Accounts of Military and Other Events, Month by Month strives to take the reader beyond Shiloh, Stones’ River, Fort Pillow, and other famous battles. This is the Civil War of the common solider fighting in Tennessee and the common civilian trying to live there in wartime conditions. James B. Jones, Jr. is well-qualified to sift from among thousands of first person accounts of this real war in Tennessee, a war many students of the Civil War are not at all familiar with. He knows the real war as it existed in Tennessee, and he has here selected some of the best representations of that war, with no further comment and with misspellings intact. I would have liked to have read more about how Jones selected these particular stories for inclusion, and I’m sure he rejected many which would fit nicely into a second volume, should he wish to compile one. This is an interesting idea, with primary sources listed in chronological order throughout the war. The month currently covered is listed in bold at the top of each page, making it easy for a reader to move quickly to dates of interest. 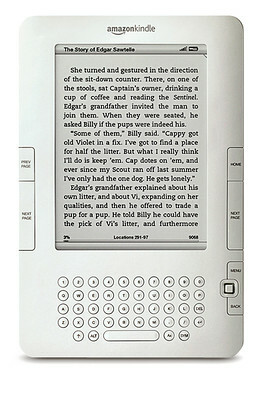 This book is one which can be read completely out of order with little if any loss of coherence. Jones does not focus specifically on military matters, drifting in many directions and lingering on many social and political topics as well. There’s something in this book for most students of the Civil War, but because the $50 price tag for a paperback is steep, some may find the $16 Kindle edition to be a very good value for the money. 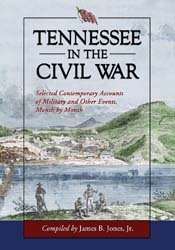 Anyone interested in the Civil War in Tennessee will find either version of this book to be a valuable addition to their library. The only state designated by Congress as a Civil War National Heritage Area, Tennessee witnessed more than its share of Civil War strife. 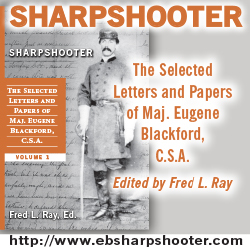 This collection taken from primary documents–including newspaper accounts, official reports, journal and diary entries, gunboat deck logs and letters–offers rare glimpses of the Civil War as it unfolded in the Volunteer State. Arranged chronologically from April 1861 to April 1865, the accounts chronicle some of the numerous smaller skirmishes of the war and address a variety of topics critical to the civilian population, including health issues, politics, anti-Semitism, inflation, welfare, commodities speculation, refugees, African Americans, Native Americans, and the war’s effect on women. These informative accounts go beyond the customary emphasis on famous generals and big battles to illustrate how the Civil War impacted the lives of those everyday soldiers and Tennessee citizens whose history has become marginalized. James B. Jones, Jr., is a public historian on the staff of the Tennessee Historical Commission. He has written extensively on Tennessee and Civil War history.